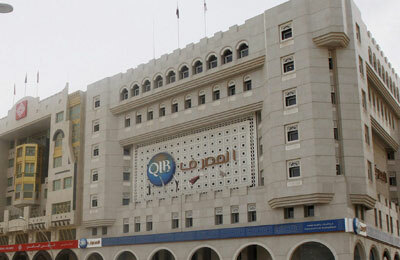 Qatar Islamic Bank, the country's largest sharia-compliant lender, will return to global debt markets after two years on Wednesday with a new five-year sukuk, taking advantage of strong liquidity for regional issues. The lender launched a $750 million Islamic bond after completing investor meetings earlier this week in London, with order books for the deal over $6 billion ahead of launch, according to arranging banks. The sukuk was launched at 175 basis points over midswaps, at the tighter end of revised guidance released earlier on Wednesday, an indication of the investor appetite for the deal. QIB, whose biggest shareholder is the country's sovereign wealth fund, the Qatar Investment Authority, received approval for a new $1.5 billion sukuk programme last month, and this issue will be the first sale under it. While Qatari banks are extremely liquid, much of this cash is in Qatari riyals. With a number of infrastructure projects in the pipeline, as the country builds towards hosting soccer's 2022 World Cup, banks are keen to secure longer-term dollar funding to support these schemes. QIB only has one outstanding sukuk, its $750 million deal completed in 2010, which was issued at a profit rate of 3.856 percent. That sukuk, which came under selling pressure this week to make room for the new issue, was bid at a yield of about 2.18 percent, according to Thomson Reuters data. HSBC Holdings, Standard Chartered, Deutsche Bank and Qinvest, part-owned by QIB, are lead managers on the deal.